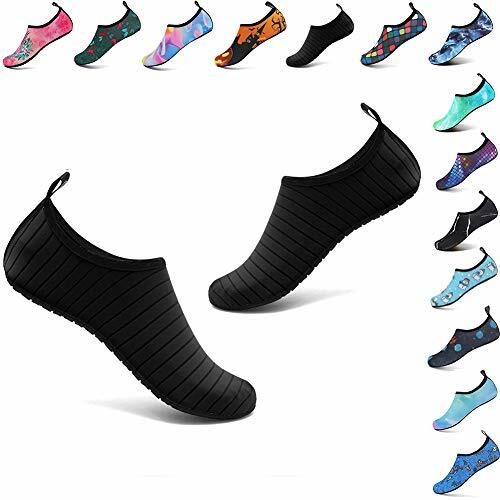 Why Choose Our Quick Dry Barefoot water shoes/water sock? 1.We provide various of colors and different interesting design for you choose! And we will provide more new style for all of you in future. 2.Our breathable water shoes just like socks.Flexible and comfortable, make you feel great freedom and comfortable in wearing. More importantly,it is super lightweight,perfect for travel. 3.Our multifunctional sports shoes can use for beach play,swimming,surfing,yoga,boating, kayaking indoor ect. 4.We offer better after service for all our customer.If you have any problem with the water shoes you bought,just email to us. NOTE:This shoes are not suitable on dangerous rocks.